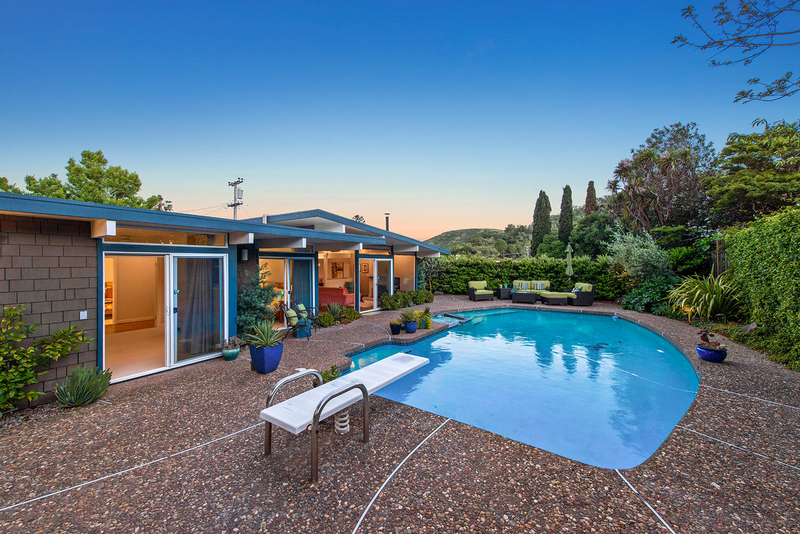 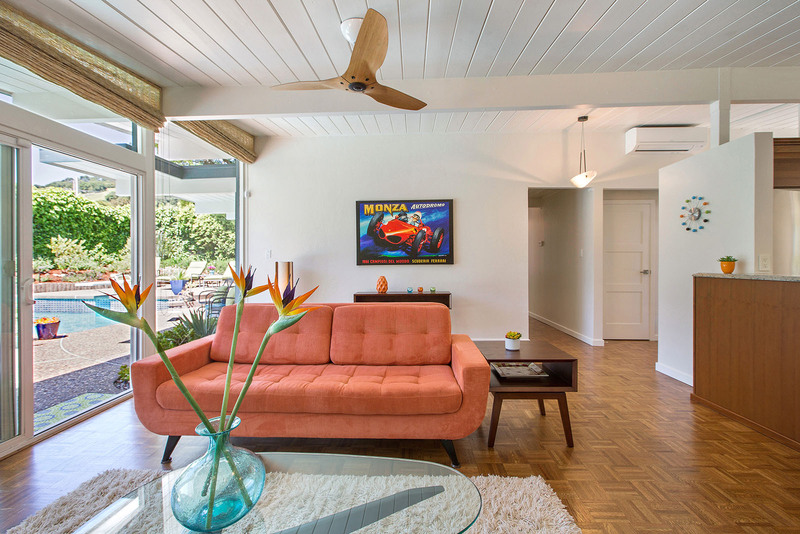 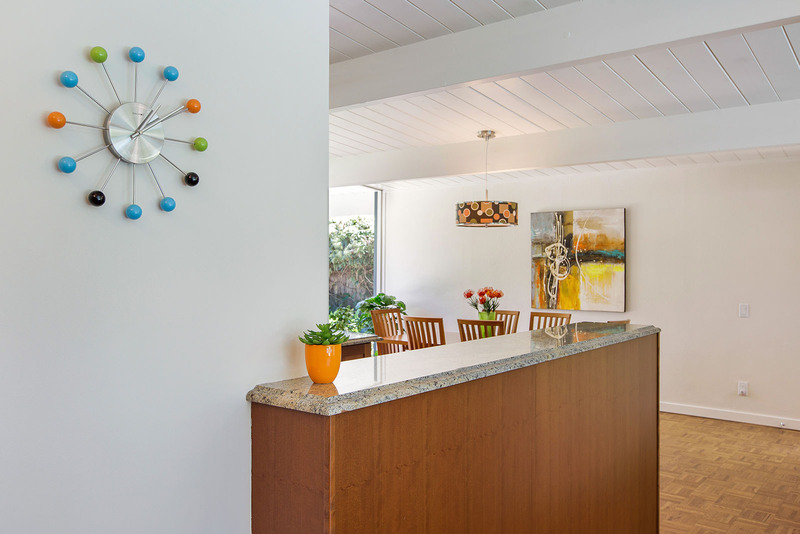 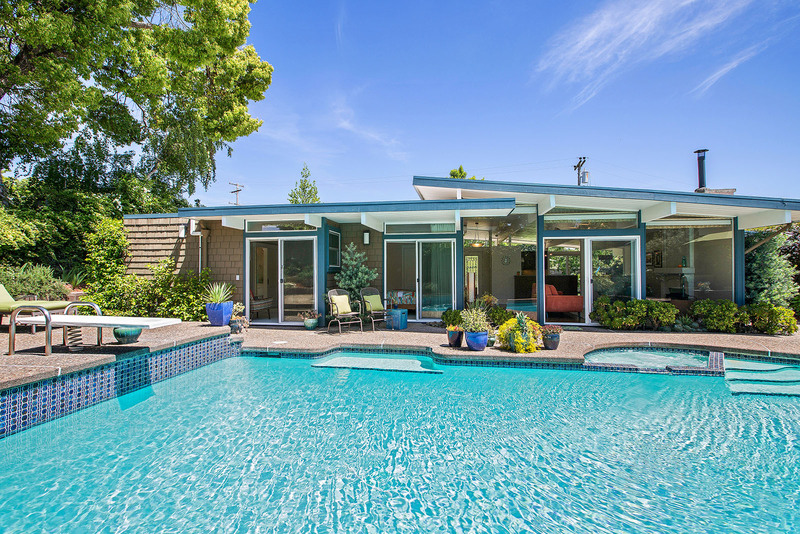 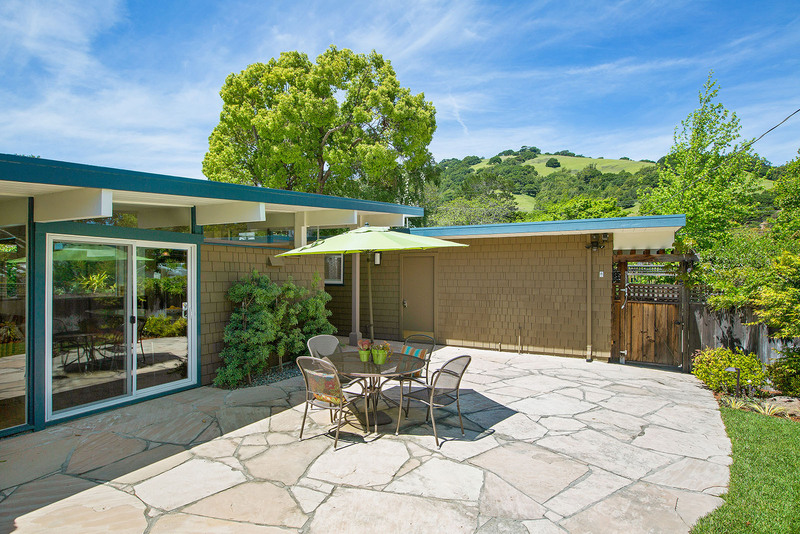 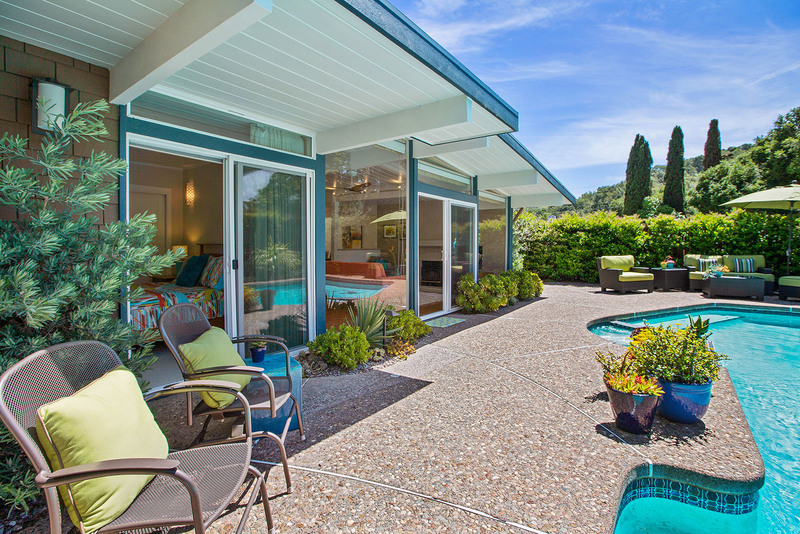 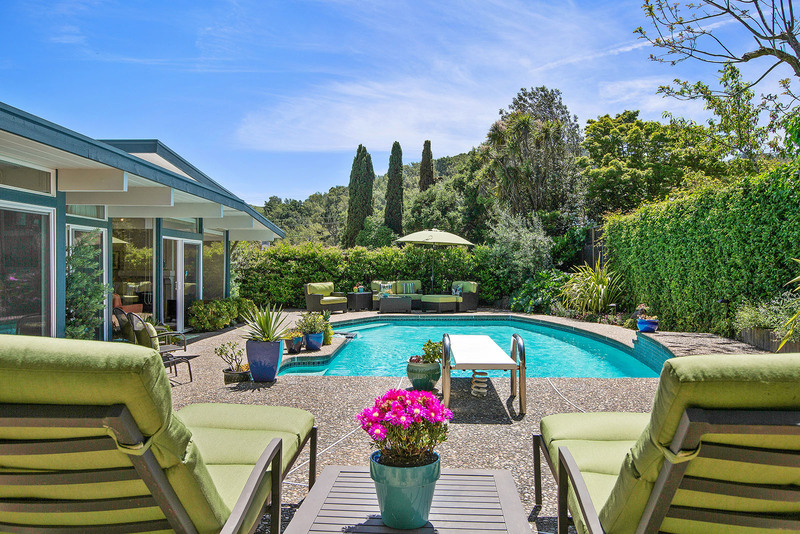 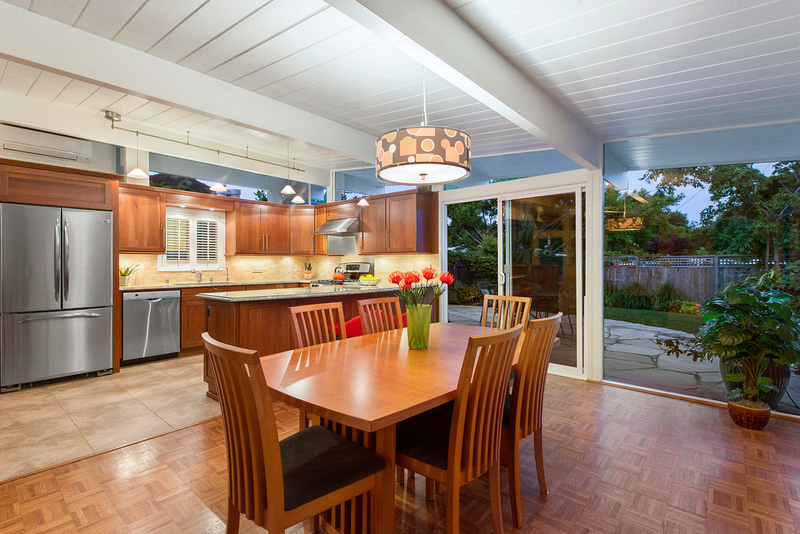 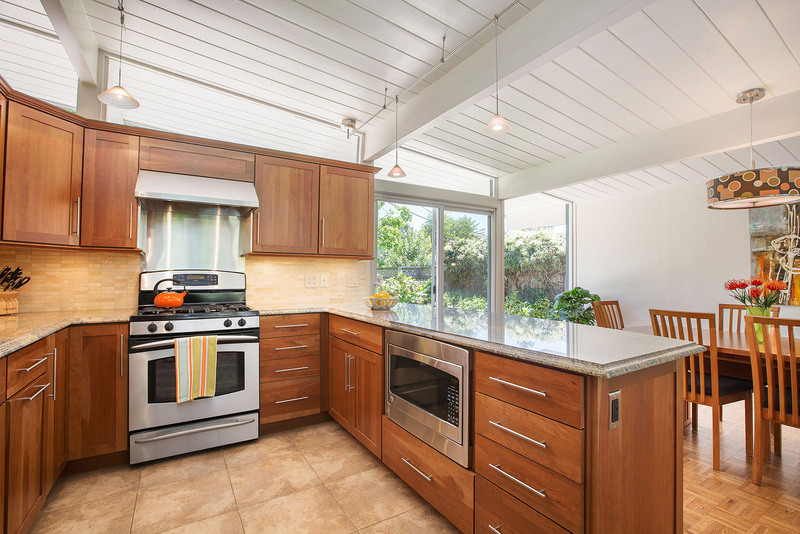 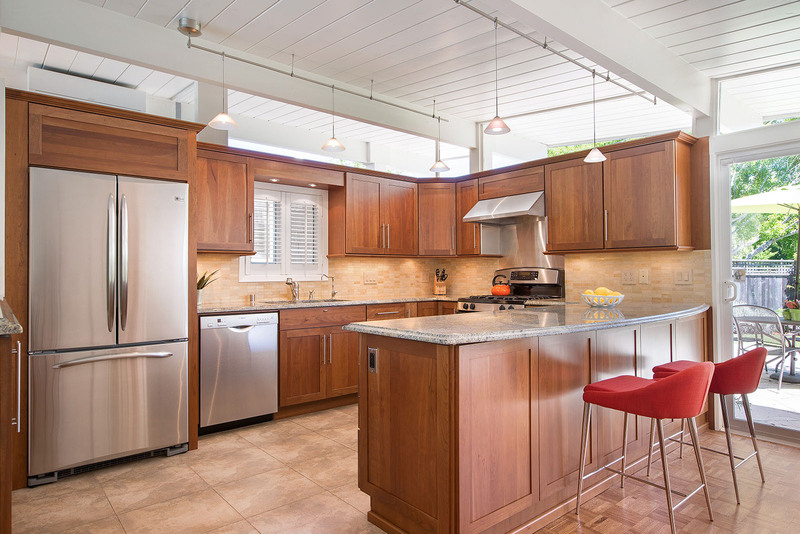 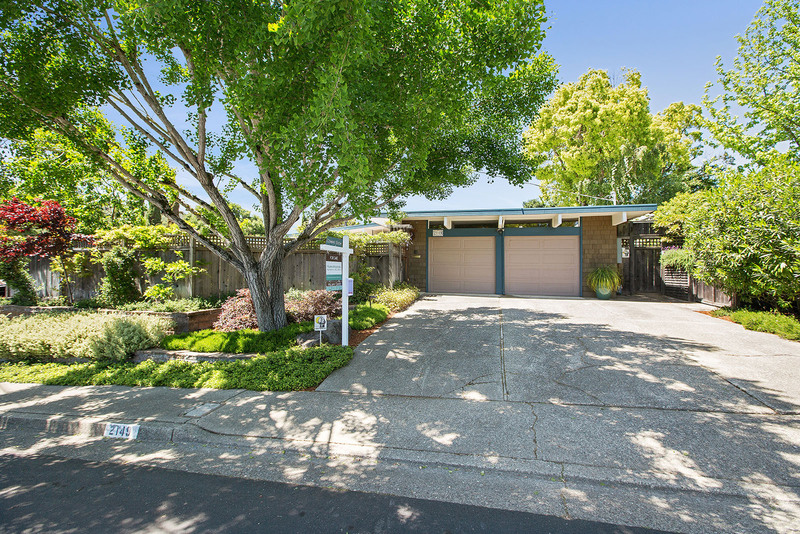 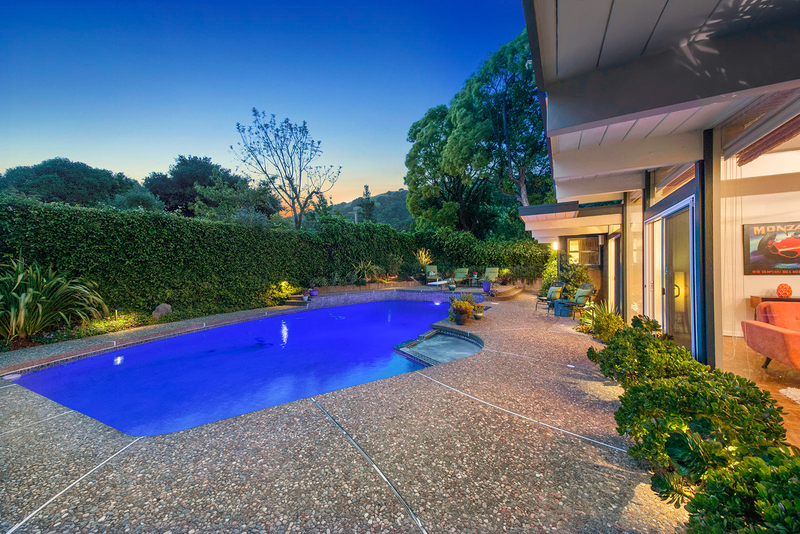 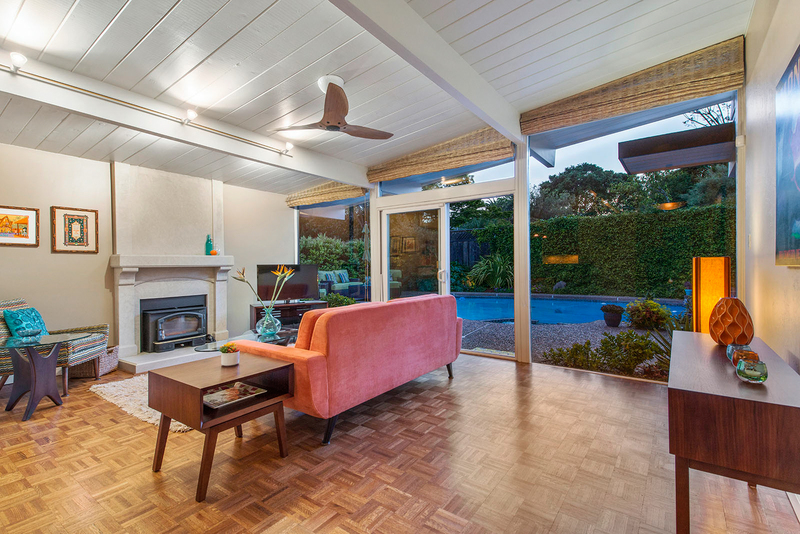 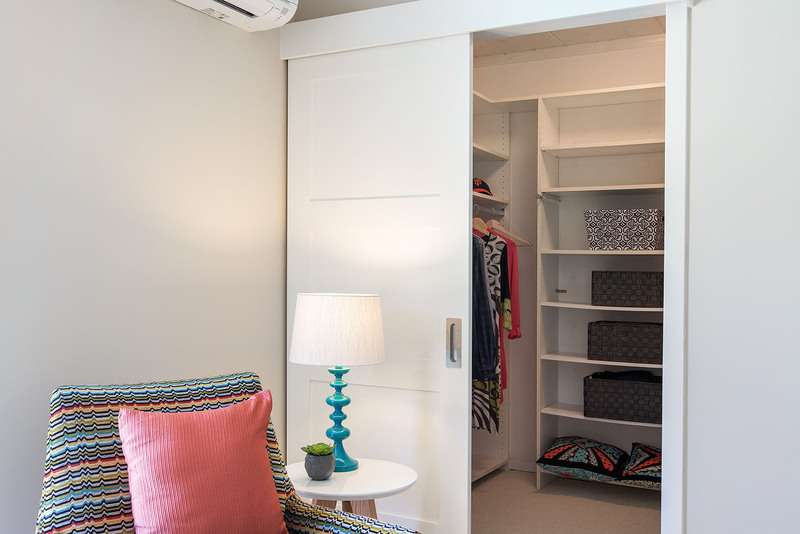 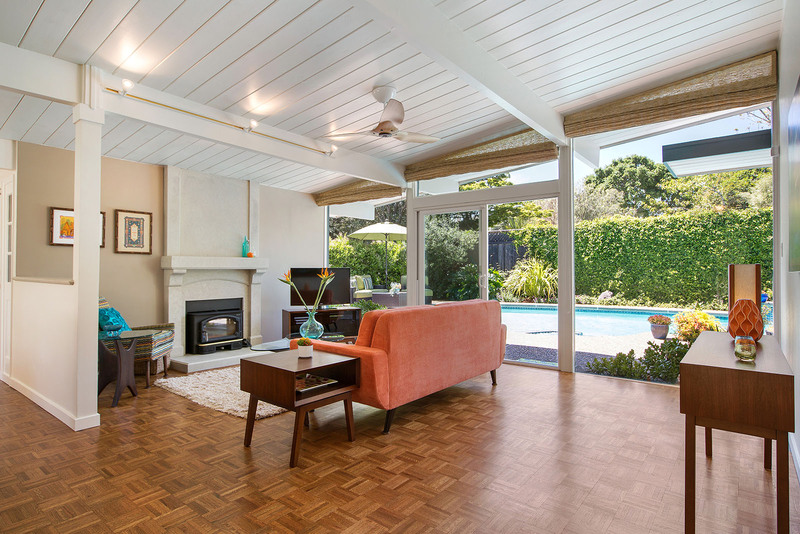 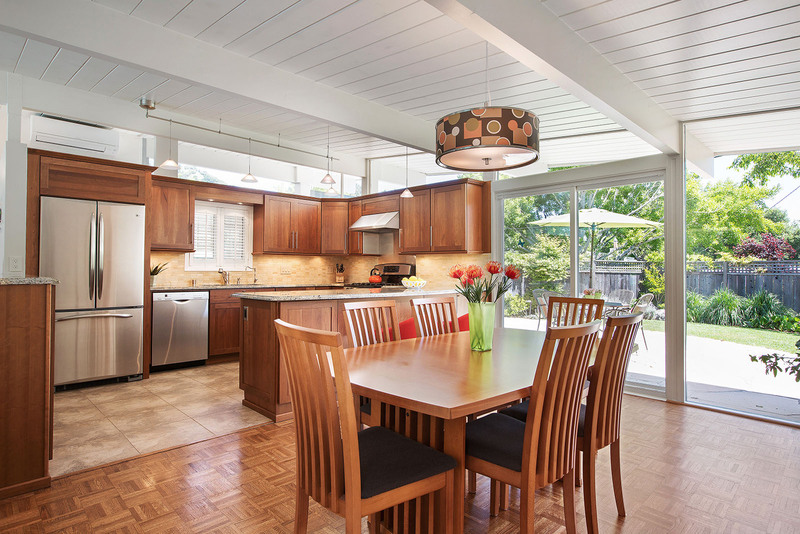 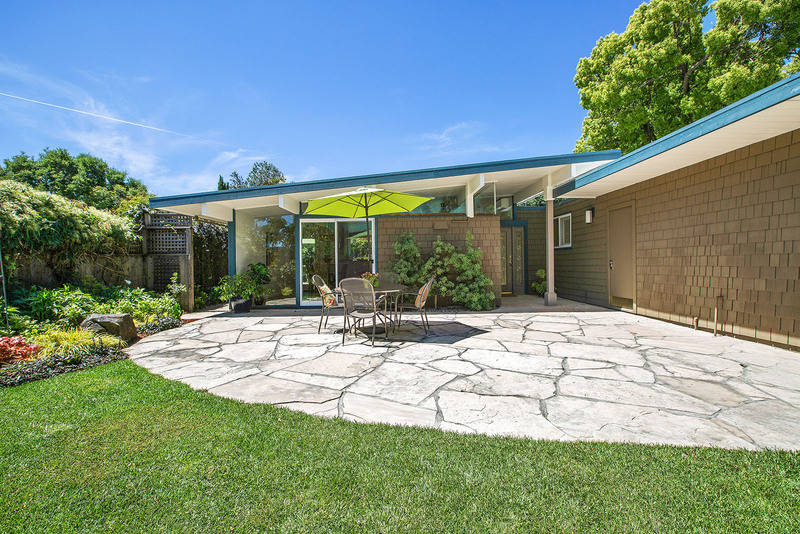 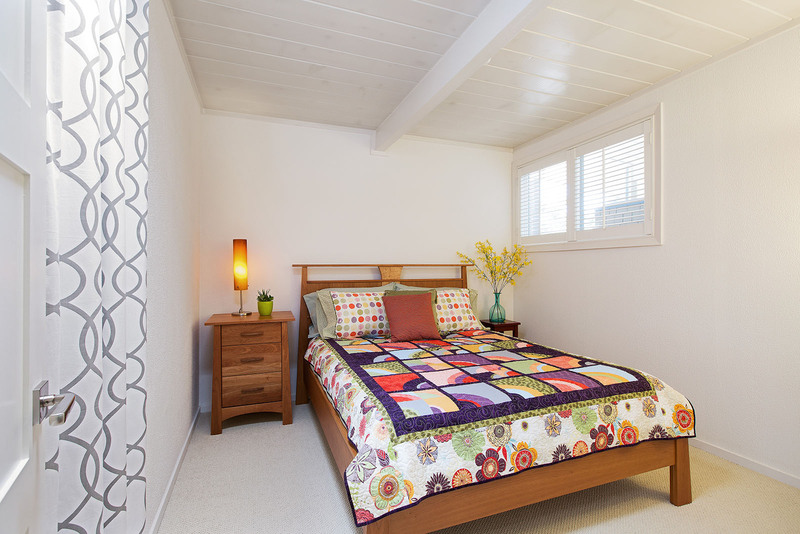 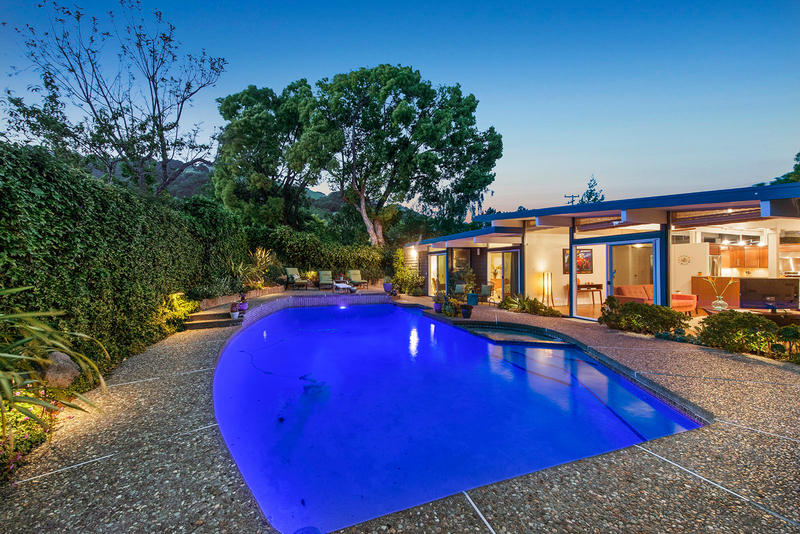 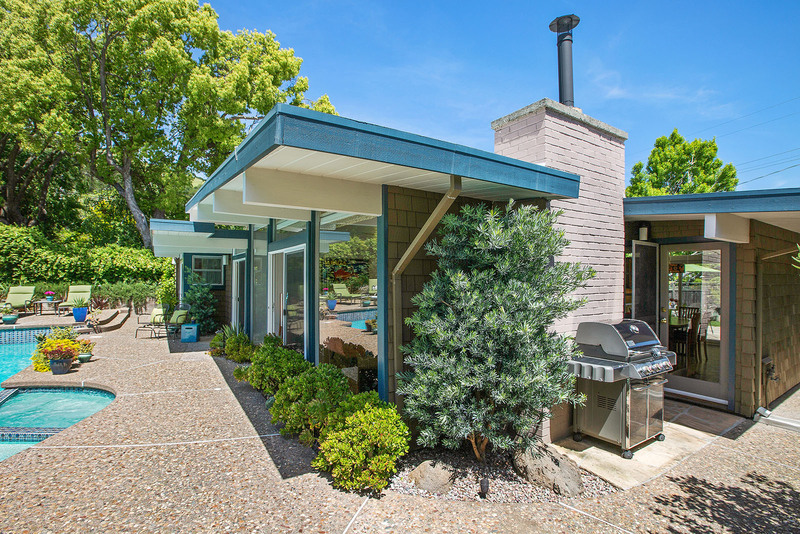 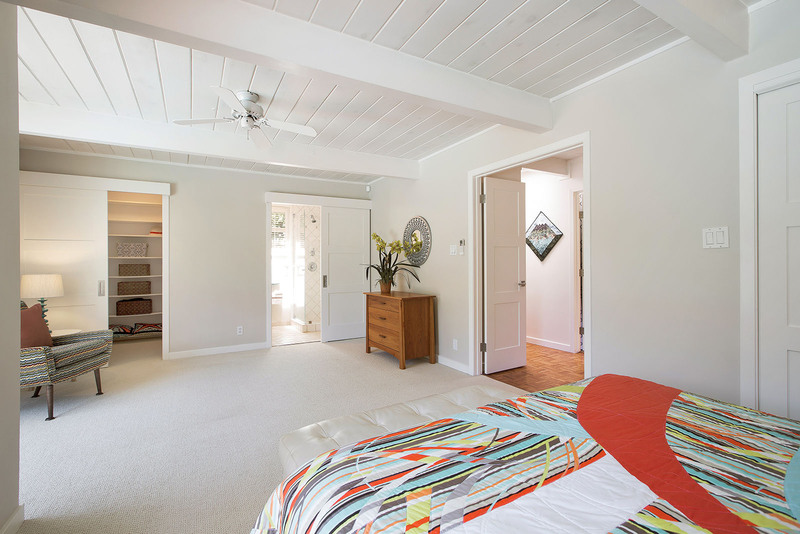 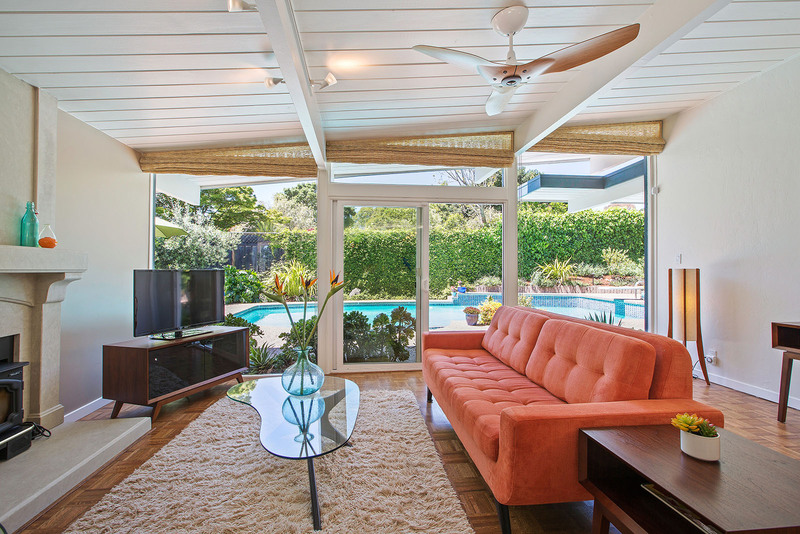 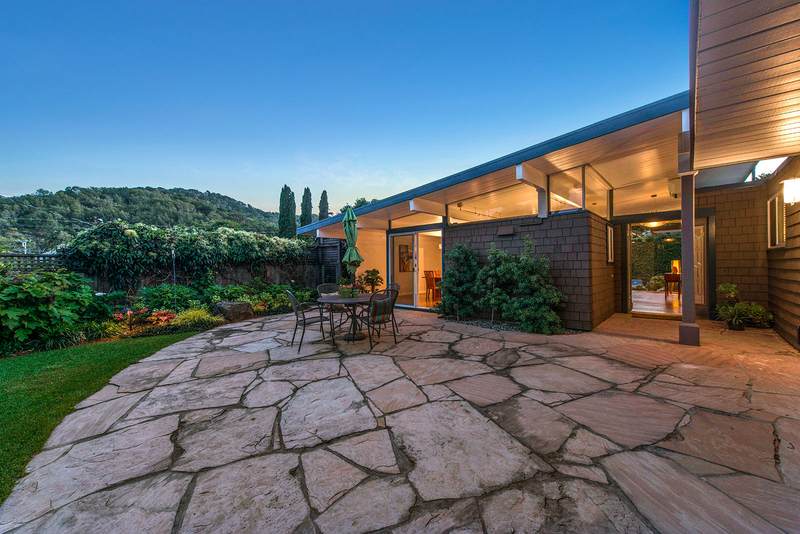 California resort style living describes this mid-century modern Eichler inside and out. 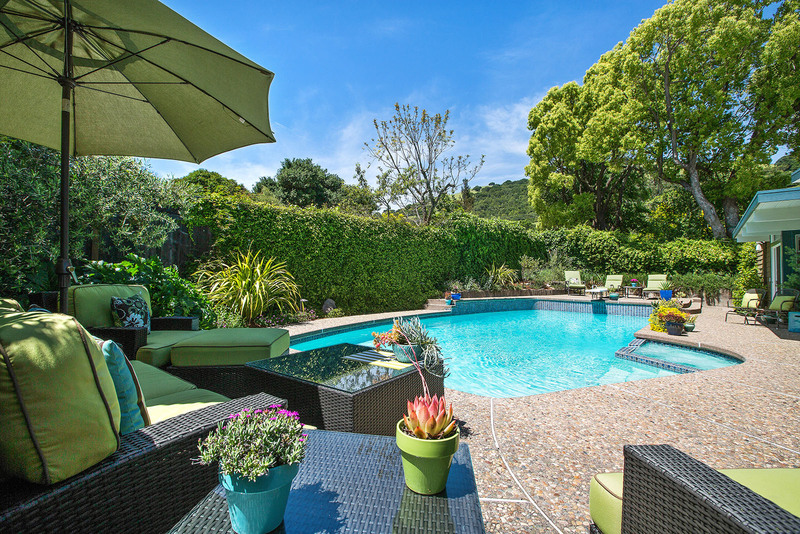 The very private solar heated pool, hot-tub spa and gorgeous hill views make every day a vacation! 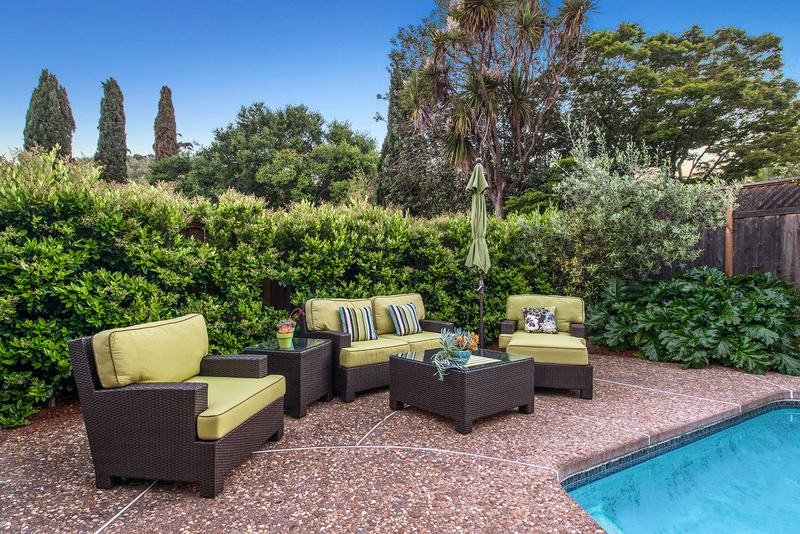 Blooming wisteria welcomes you through a secured gate to a large private sunny flagstone patio with exquisite lush landscaping. 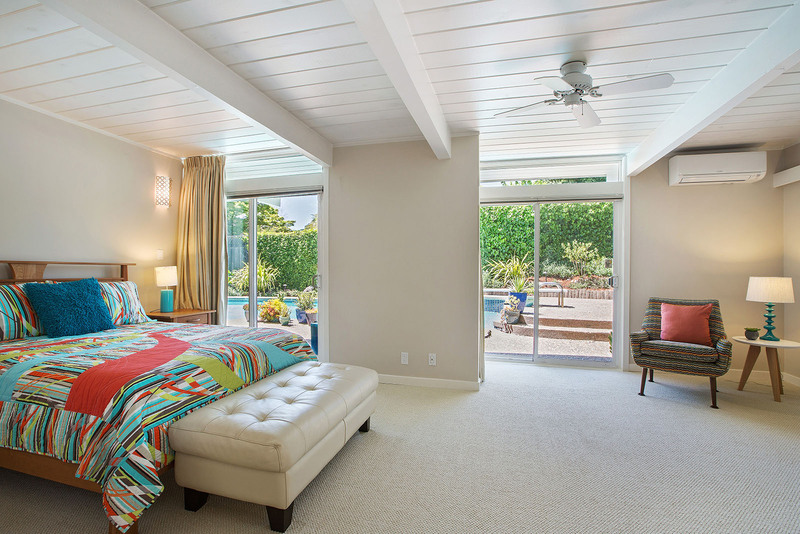 Enter this single story 4-bedroom model, now set up as 3 with a large master suite, to an open floor plan that is perfect for indoor outdoor entertaining or relaxing in a peaceful paradise. 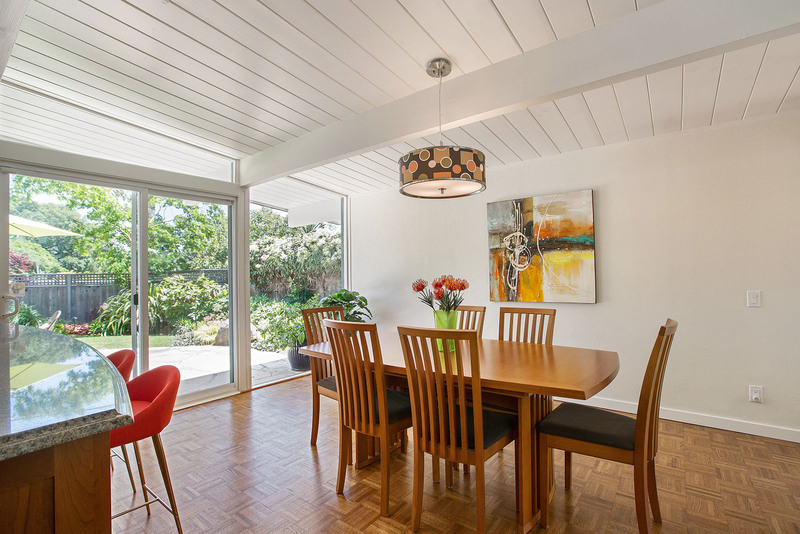 Floor to ceiling windows drench the home with natural light and the pitched open beam ceilings offer a wonderful sense of spaciousness. 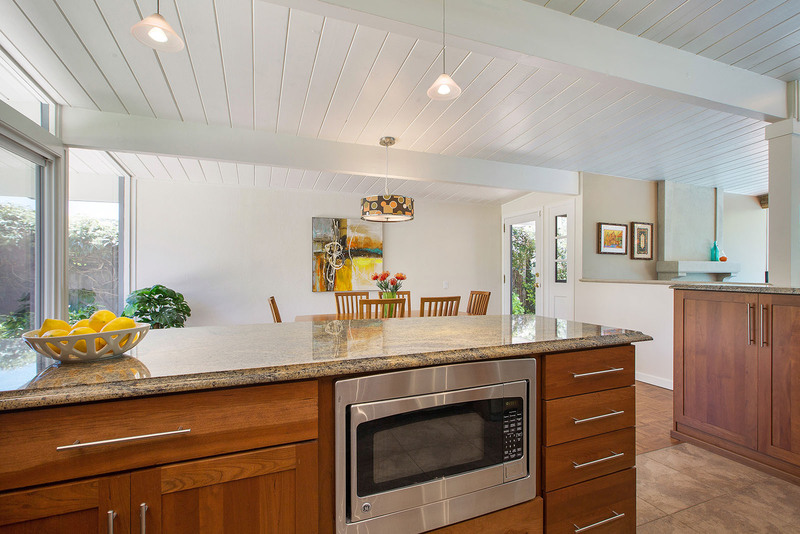 The kitchen is completely redone and sure to please with granite counters, stainless steel appliances, gas range, and solid cherry cabinets…plus so much more. 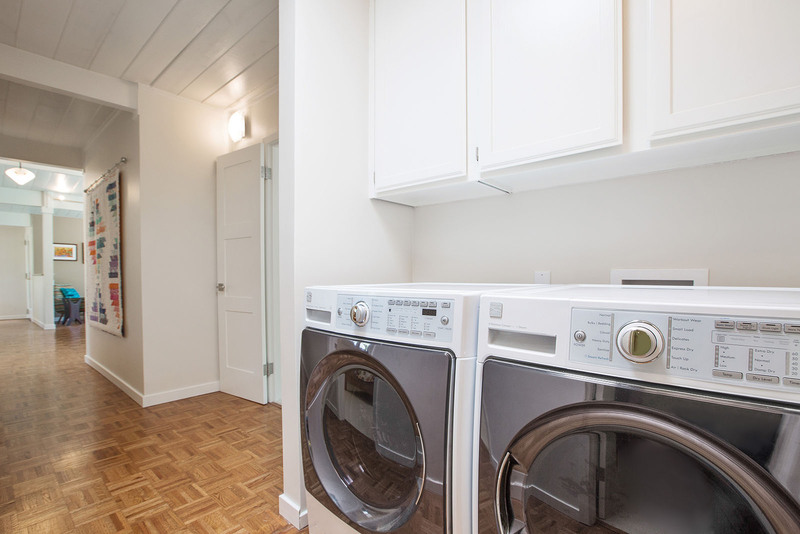 Copper pipe radiant heat & high efficiency boiler, a new foam roof and a newly installed dual mini split (A/C & heat) keeps the home warm and cozy in the winter and cool in the summer. 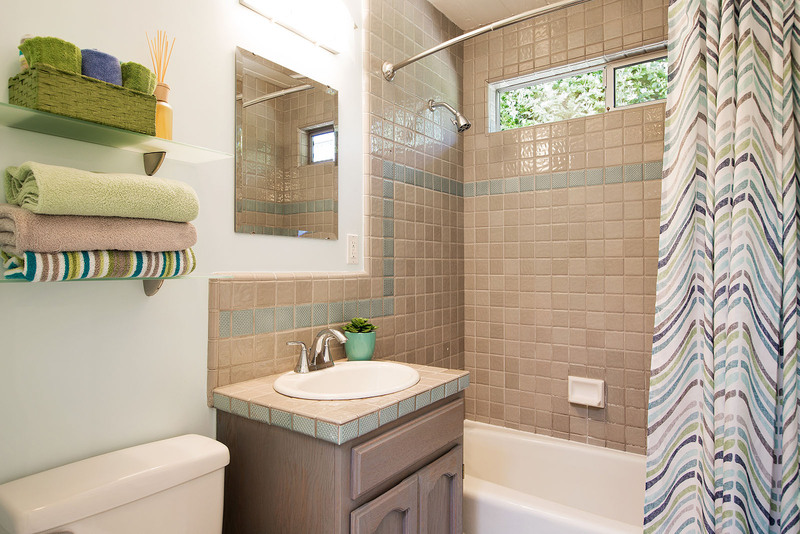 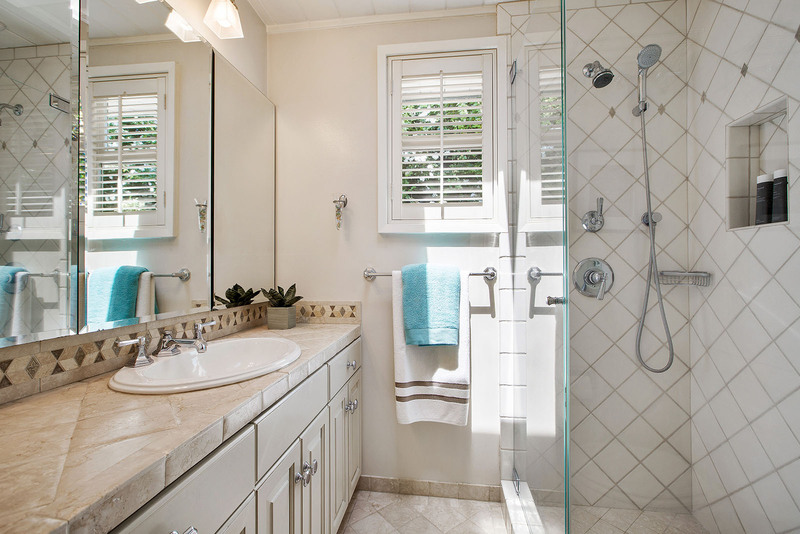 Both bathrooms have been tastefully remodeled/upgraded and new solid core doors with stylish hardware have been installed throughout the home. 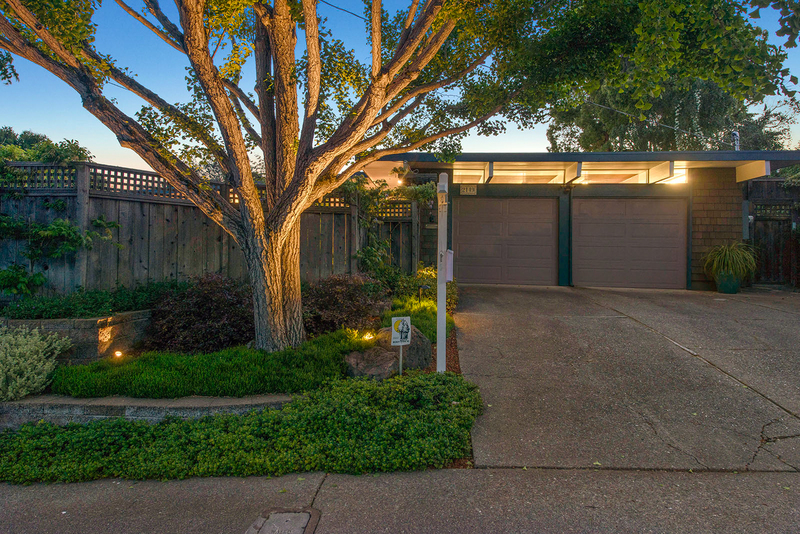 The entire home and systems have been meticulously maintained and upgraded with integrity; this home is move-in condition! 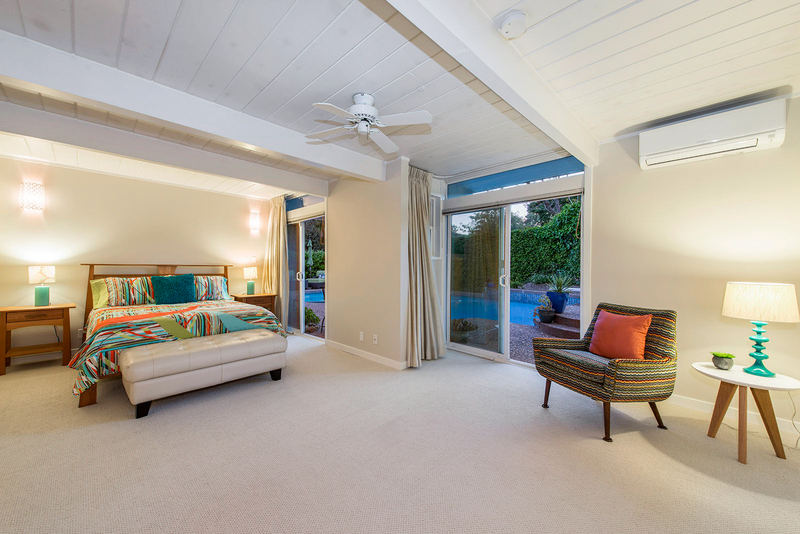 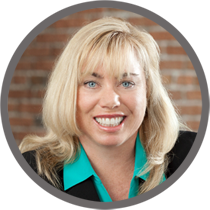 The list of upgrades is lengthy; notable items include double pane windows in most of the house, hardwood floors throughout the living area and newer carpet in the bedrooms. 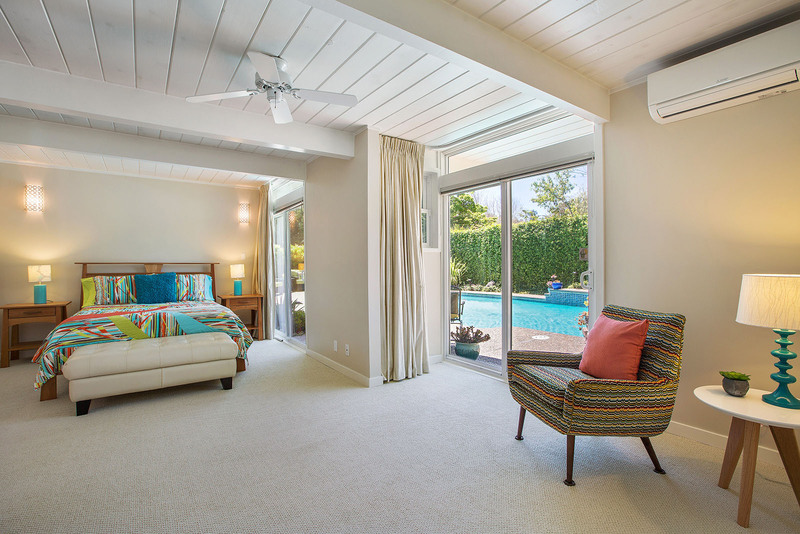 Custom shade blinds, plantation shutters and silk curtains are a few more of the luxuries you’ll enjoy here. 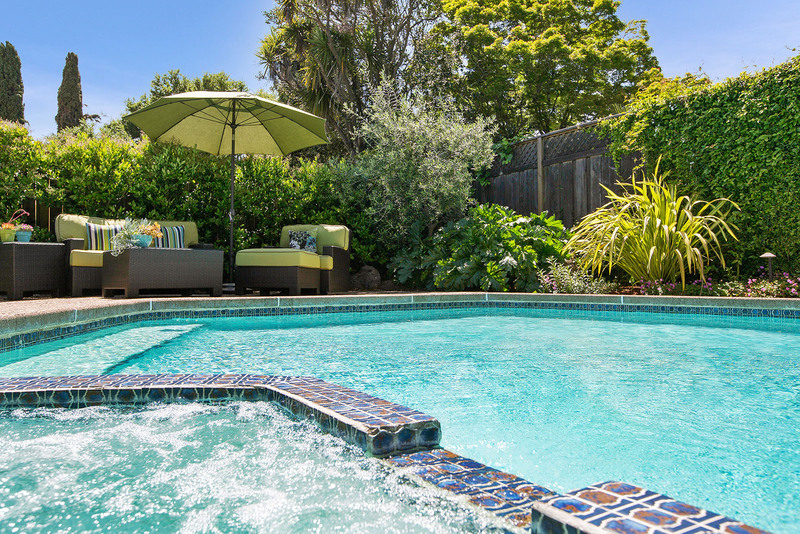 The solar heat for the pool has been upgraded as has much of the pools equipment. 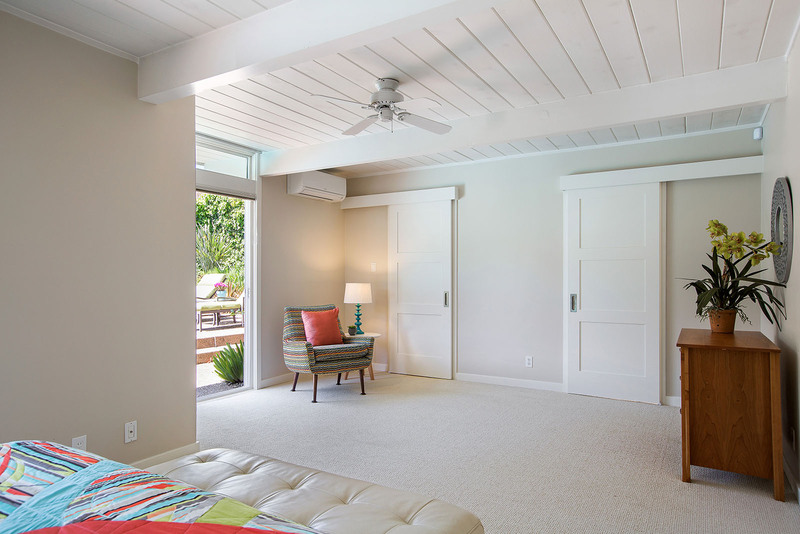 The two-car garage with work bench and wall organizers makes this home complete. 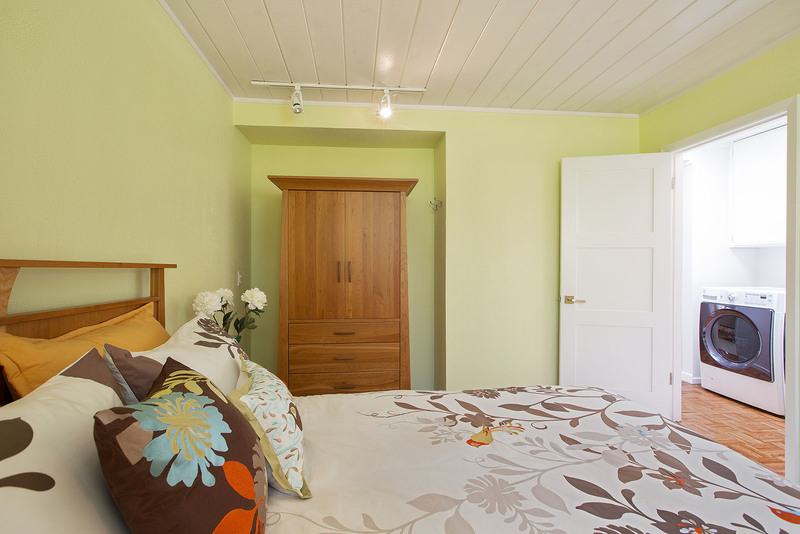 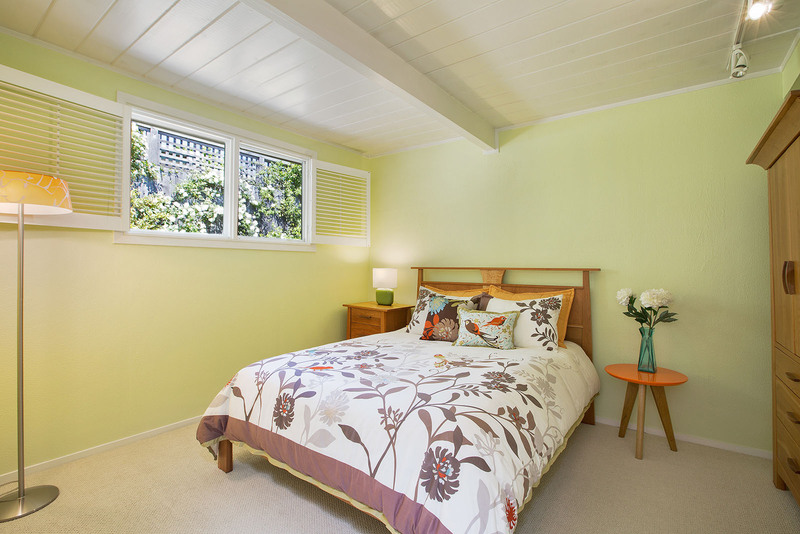 This hidden gem is in the highly desirable Dixie School District and one block from Marin Waldorf School. 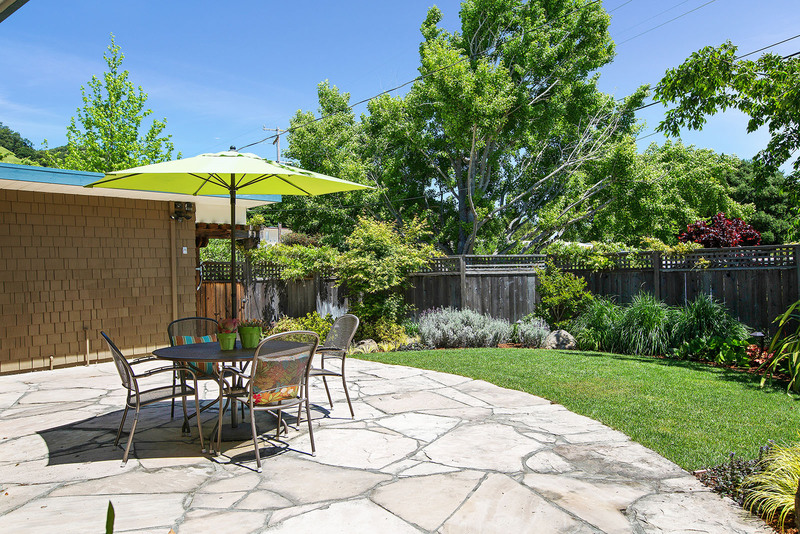 The endless acres of open space and trails are only a block away, plus easy access to 101 makes this spot very convenient. 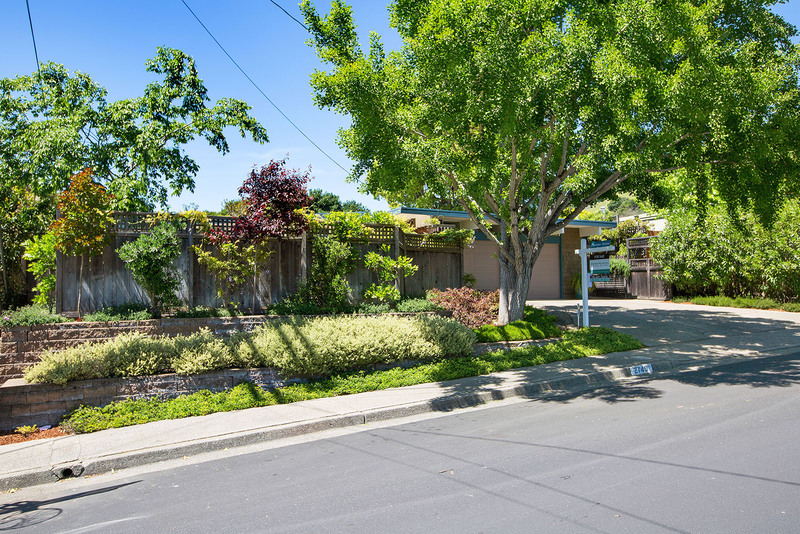 Nearby Marinwood Park offers tennis courts, playground, pool and community center with lots of fun activities. 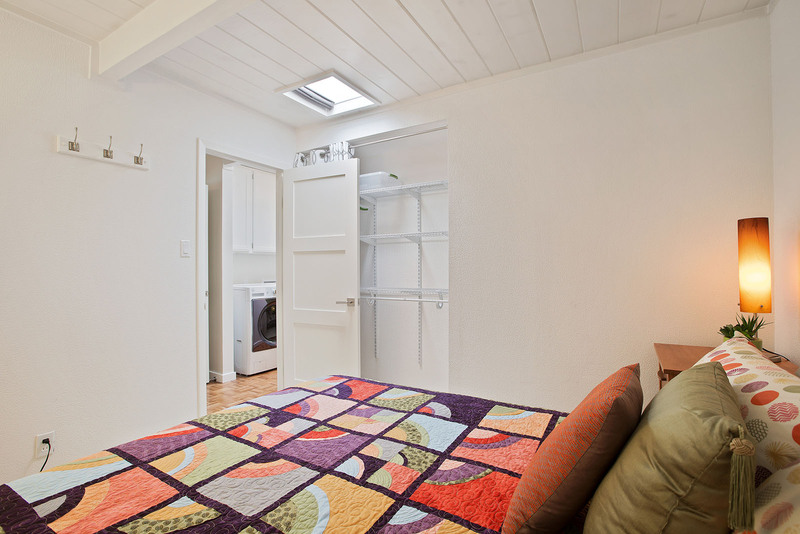 A full supermarket is very close as well. 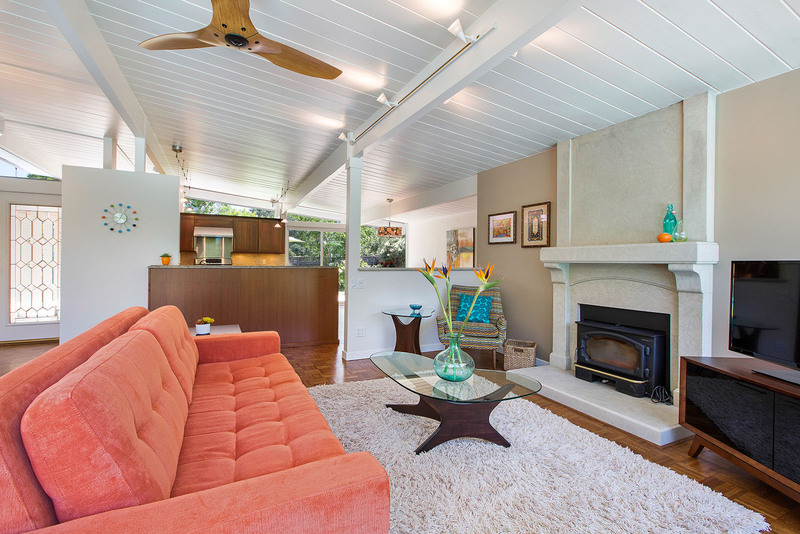 This home is easy to live in. 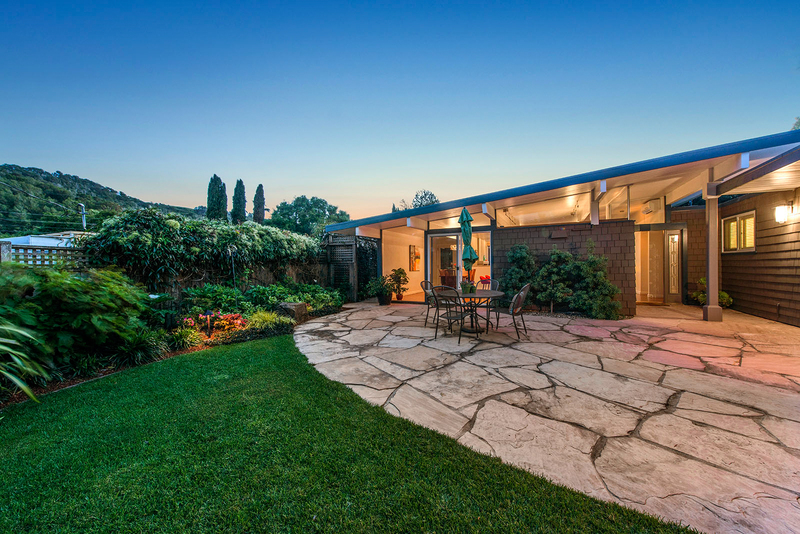 It is solid, it is done and it is ready for you to enjoy.